Too often when it comes to new transport initiatives, the practice is to concentrate on laying the base for the project in close working relationships with people and groups who a priori are favorably disposed to your idea (basically your choir). Leaving the potential “trouble makers” aside for another day. Experience shows that’s a big mistake. Instead from the beginning we have to take a . . . Following are incomplete working notes from book in progress: The Equity Initiative. 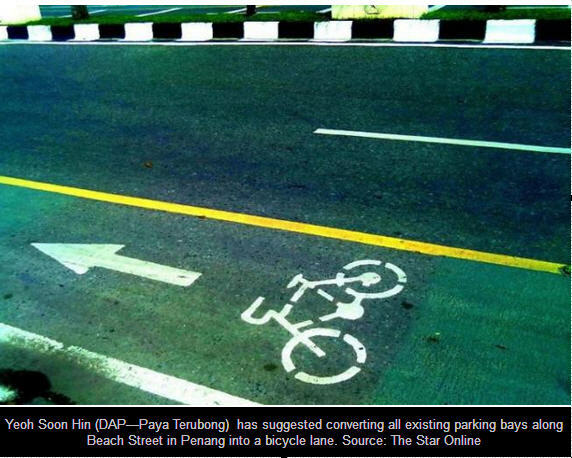 To be adapted for Penang Initiative. Concerned local/regional government agencies, transporters, business groups, local employers and others should be brought early on into discussions, planning, implementation, and follow-up. It is vital to bring to the table as wide a range of groups and interests as possible, from the city and in the surrounding region in each case, including those whose views may be negative about any of the kinds of major shift in today’s transportation arrangements. Nobody likes change out of the blue, especially those “imposed” on us by people who are indifferent to our problems and priorities It is natural to block these unwelcome proposals. But that would be a huge mistake. In a 21st century democracy, the key to success is to take a big house/open doors approach. Make sure that you bring in all those groups, interests, people who are going to be impacted, positively or possibly negatively. Better to have them inside the tent and from the beginning. One of the richest and most exciting phases of the preparatory projects from the outset is that of taking contact with all these groups in order to discover what they are already doing to advance the sustainability agenda in your city. And what they are ready and able to do if they get the right kind of support. Below you have our generic checklist of possible local collaborators, partners, and interested parties. As you look through it from the perspectives of your own community, you will see that there are gaps here. But this at least can get you started. 19. Street vendors, kiosks, etc. 23. Other concerned agencies, services? 4. Shuttle services: Colleges, employers, hospitals, churches, etc. * Comments and suggestions for improvement of this rough listing are more than welcome. If you think that transport policy and investment decisions are best taken in smoke-filled rooms peopled exclusively by local politicians, your long time transportation experts, perhaps accompanied by some of your principal suppliers, then the New Mobility Agenda approach to outreach and broad public consultation and direct involvement is probably not for you. Mayors, city councils and local government have a lot more their plate than the transportation-related issues of their community. And there are just 24 hours a day. However to the extent in which local leaders are ready to reach out into the community deeply and often, they are going to find that there are resources and skills out there which need to be drawn on. 21st-century governance is based on the continuous reaching out for the skills and inputs of active citizens. Getting this right requires both considerable thought and careful use of state-of-the-art communication systems. We have long maintained that mayors and local politicians who get this right will probably be able to stay in office as long as they choose to. This entry was posted in 2013, Organization, Universal access and tagged World Streets. Bookmark the permalink.